With so many choices, dining in the seaside town of Amalfi is one of the many pleasures of a leisurely holiday on the Amalfi Coast. Set in a pretty harbor overlooking the Mediterranean Sea, the town of Amalfi is one of the most popular holiday destinations in southern Italy’s region of Campania. Visitors come from around the world to soak up the sun along the beautiful beaches of the Amalfi Coast and to enjoy the stunning landscape with towns dotting the mountainsides from high atop the peaks all the way down to the water’s edge. 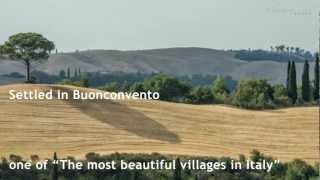 Campania is also a region famous for its regional specialties, from fresh seafood to the locally grown lemons and the famous Mozzarella di Bufala. Dining in Amalfi is a real treat, and here are just few spots where you’ll find an emphasis on local traditions and, of course, a delightful setting! For a romantic setting overlooking the harbor, follow the small road from the Amalfi’s central traffic circle Flavio Gioia leading along the port. There you’ll find several seaside restaurants, all featuring indoor and outdoor seating. During warm weather, enjoy your meal outdoors on the terrace at the Ristorante Lido Azzurro or Ristorante and Pizzeria Lo Smeraldino for excellent dining with beautiful views looking over the harbor toward the center of town. 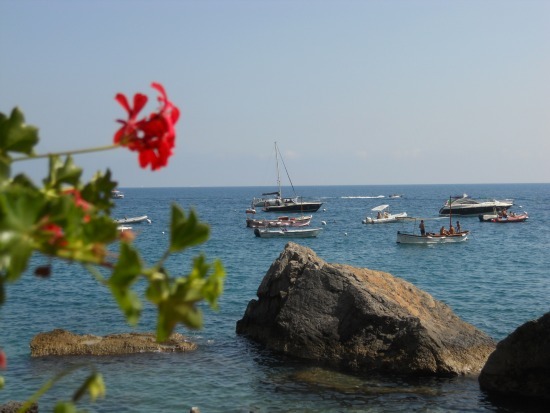 Watch the boats putter in and out of the harbor while enjoying local specialties from Amalfi. In the evenings, Lo Smeraldino also makes an tasty pizza, making it a welcoming setting for the entire family. 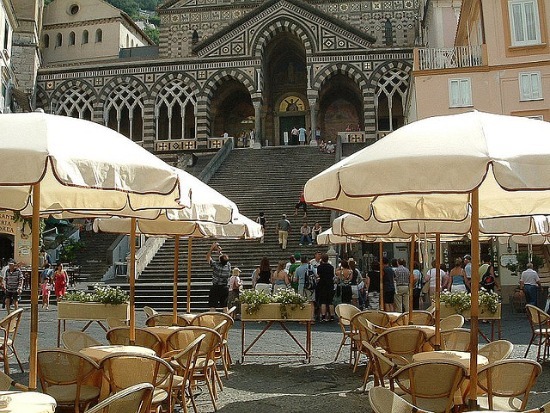 If you’re looking for a quick snack or a picturesque spot to rest your feet and enjoy a good dose of people watching Amalfi style, head to the Piazza Duomo in the center of town. Grab a table at one of the cafés in the Piazza and enjoy the stunning view looking up the imposing staircase to the Cathedral of Sant’ Andrea. For artisan made gelato, stop by the Bar Royal to try some of their delicious flavors. Along the waterfront overlooking the Marina Grande beach, the Gran Caffè offers a light lunch menu and lovely views. Nearby, you’ll find a row of restaurants, including the well-known Ristorante Marina Grande, that are all excellent spots for a relaxing lunch or special dinner. There’s a lively debate among locals about where to find the best pizza in Amalfi. You’ll find many creative interpretations as well as the classic Neapolitan style toppings in many restaurants and snack bars. One of my favorite places for pizza in Amalfi is at the Trattoria Da Maria just steps from the Piazza Duomo, which is also a fabulous restaurant. 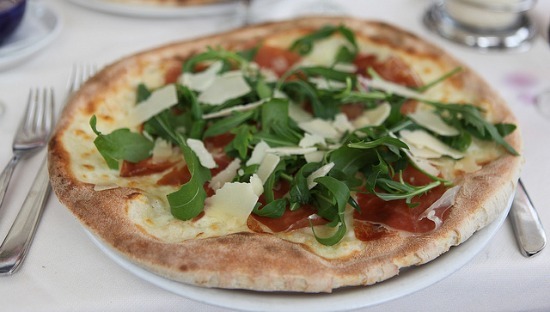 Try their pizza diavola (“devil”), which not only features spicy salami, but also a healthy sprinkling of peperoncino! Another popular spot is the Pizzeria Donna Stella, which is located in the medieval center of town with a charming outdoor seating area tucked away under a terrace of lemon trees. 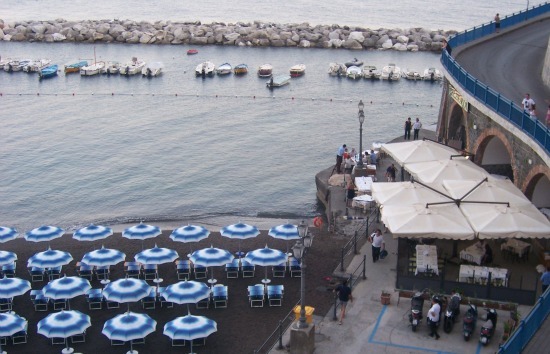 After you’ve tried many of the restaurants in Amalfi, stroll over to the neighboring village of Atrani for a dinner with a relaxed pace and pretty view overlooking the town’s black sand beach. 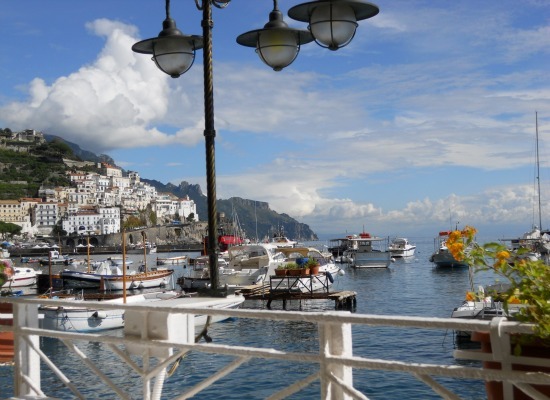 Dinner at the Ristorante Le Arcate, with outdoor seating on the waterfront, is a setting as romantic and charming as it gets on the Amalfi Coast. After dinner, stroll under the arches of the Amalfi Coast Road nearby to enjoy an after dinner drink at one of the many cafés in the town’s very sweet little piazza. Looking for a quiet dining spot away from the crowds? 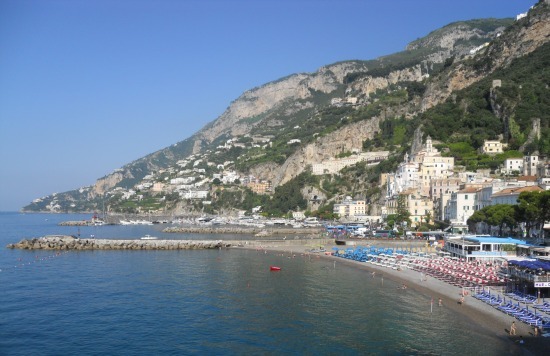 During the summer months, hop on a boat to the nearby Santa Croce beach, which is just west of Amalfi. There you’ll find two restaurants overlooking this rocky and beautiful beach. Enjoy sandwiches and white wine with fresh peaches directly on the beach, or enjoy a leisurely lunch or dinner overlooking the sea for an unforgettable dining experience on the Amalfi Coast!